Based on 522 customer ratings. 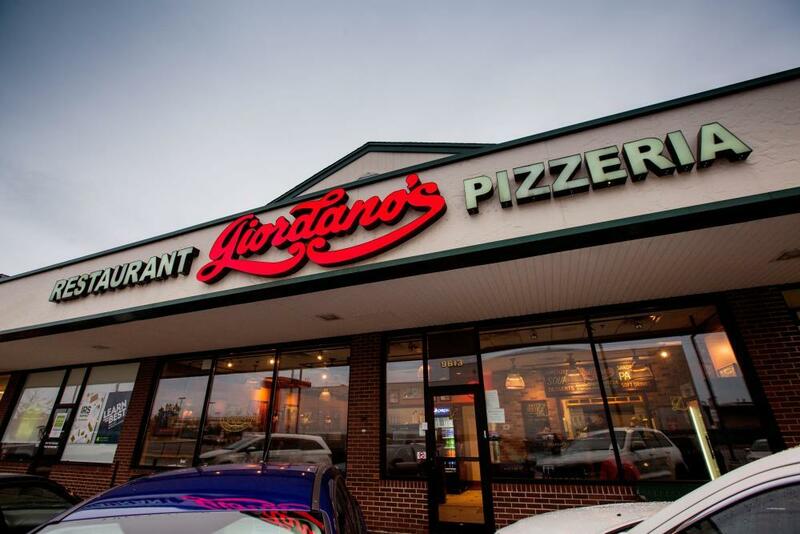 You don’t have to travel far to enjoy the fine aromas and fabulous taste of Giordano’s! Come to our Beverly location, where you can BYOB to our full dining room. Prefer ordering out? Choose delivery or pickup. When it comes to old world craftsmanship and artisanal pizza pies constructed with tender care, no other Chicago tradition can beat Giordano’s! We have the best deep dish pizza in the Windy City, and we pride ourselves on bringing our heritage and pizza-crafting techniques to your table. Are you ready for the best Chicago-style pizza in the world? The Best Pizza Delivery and Restaurant in Beverly It takes 6 carefully trained artisans to build each and every stuffed pizza pie we make. Our crusts? They’re the flakiest, pie-like slices of heaven you’ve ever had. Our sauce and toppings? We only use the ripest, freshest and most flavorful ingredients. Our cheese? It’s handmade just for us at a small Wisconsin farm. At Giordano’s, we think of everything — and we know you’ll agree that we’re the best pizza delivery and restaurant in Beverly. Just because Giordano’s is famous for our pizza that doesn’t mean you shouldn’t try our world famous sandwiches, pastas and salads! Going gluten-free? No problem — just ask to see our gluten-free selections!